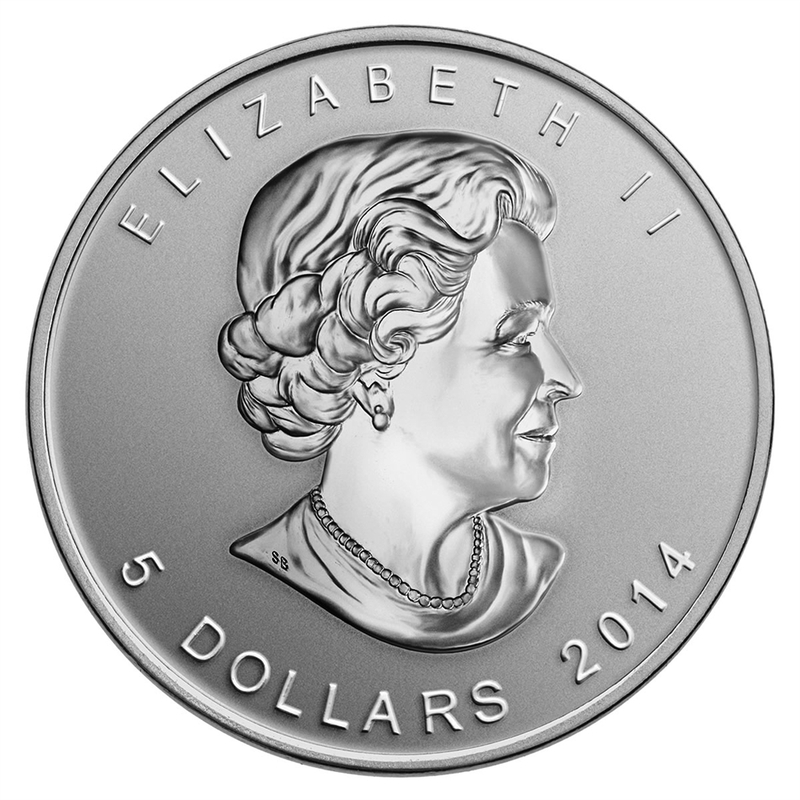 Since the introduction of the Silver Maple Leaf as Canada's contribution to branded silver bullion in 1988, the icon has symbolized a sense of pride in the excellence of all things Canadian. This coin has been premium struck to emphasize relief and detail, allowing the holder to marvel in all the fine lines and shadows of our charming Canadian symbol. 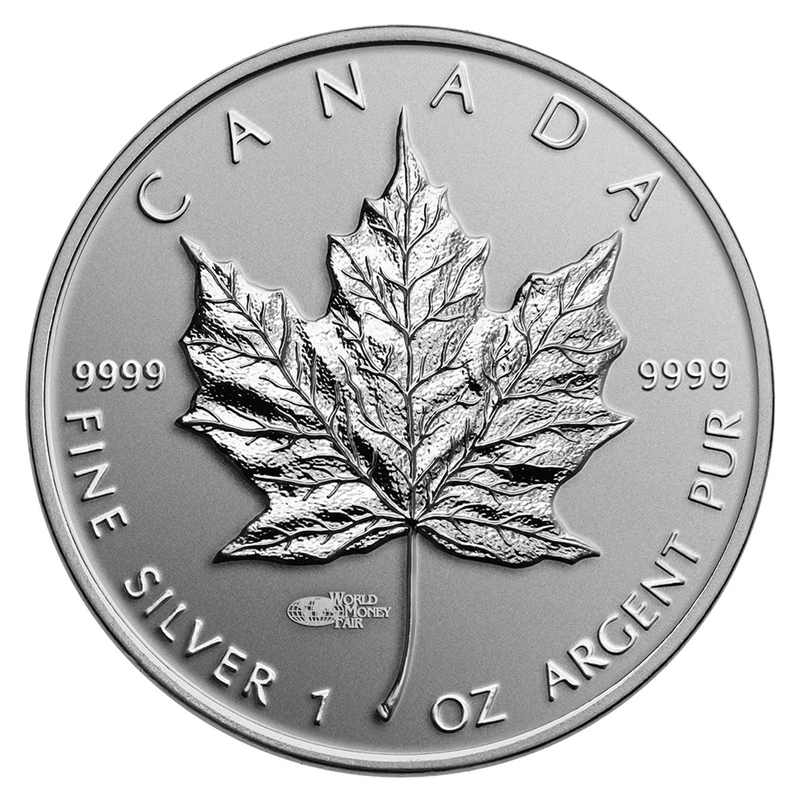 This particular silver bullion replica is branded with the World Money Fair privy mark, and created in celebration of the Royal Canadian Mint's attendance of the 43rd World Money Fair in Berlin, Germany. 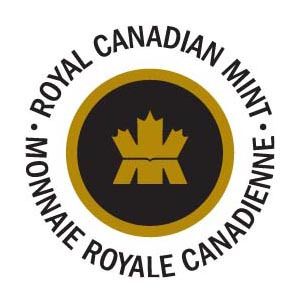 Flawlessly presented in an uncommon reverse proof finish (brilliant raised elements on frosted background), this piece demonstrates the extraordinary craftsmanship and virtuosity of the Royal Canadian Mint. These features will not only bring pleasure to the owner of such a coin, but add a distinguished touch to an already desirable replica.